Cary is another municipality within the Triangle area, about 10 miles west of Raleigh. 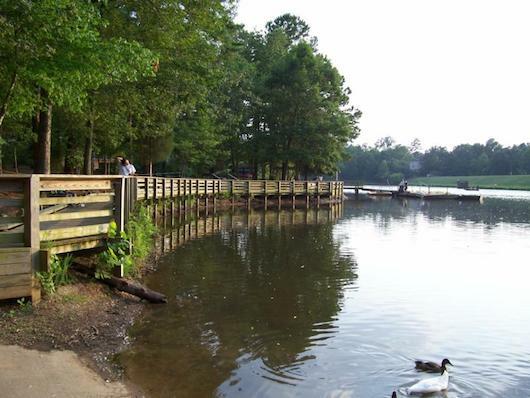 One of the running highlights in Cary is Bond Park, a lovely lakeside park with 4.2 miles of trails, an amphitheater, athletic fields, and a rope course. The Bond Lake Trail is a 2 mile run around the perimeter of the lake, with certain sections elevated, making for great water views. Add to that with another couple of miles of trails, which are a mix of paved and gravel.